This is a series of blog posts dedicated to social media hashtags and how we use them TODAY IN SCHOOL. 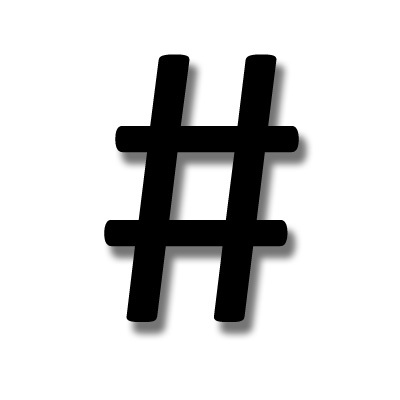 Hashtags are a series of letters following the number sign, also commonly called the pound sign: #. Hashtags identify key concepts in online content (most commonly associated with Twitter). Pinterest, Instagram, Facebook and other social media sites now also use hashtags. Hashtags are searchable and make it easy for people to find what they are looking for online. Hashtags make it possible for people to connect with and learn from individuals from all over the world. Hashtags are a way for us to share content online and curate information. On multiple social networking sites, like Twitter and Pinterest, hashtags can be used to tag content to a certain them or idea. On Twitter has htags are also used to organize professional chats and other discussions. Each day, educators are creating and using new hashtags to connect and share ideas. Through these blog posts, we will explore the purpose of the featured hashtag, the types of content associated with the hashtag, identify the creators or the moderators of the hashtag (if known), if there are any related hashtags, and note if there are specific times when new content is posted with the hashtag. The hashtags featured on this blog are all related to the field of education. Though they are not the hashtags that are associated with breaking news and world events, their use is widespread and they do trend often. Please feel free to leave comments or questions below about the use of hashtags, particularly in the field of education. If you have a hashtag that you would like to see featured on this blog, please let me know. I look forward to reading your series. #educareers This is everything to do with career help in education. Have a great day!